Managed your Gout Attack today. Effective and Fast Relief Treatment by Orthopaedic Specialist. Call us +65 97731458 to schedule for an appointment. Gout is a rheumatoid form of arthritis that causes the inflammation, joint pain and swelling especially in the toe, knee and ankle, also reducing their mobility. Gout usually appears in midlife and primarily in males. It can be hereditary or the secondary to some other disease process. Gout is mainly caused by the clustering of uric acid crystals in the arteries, obstructing normal blood flow and causing inflammation. Uric acid is a residual product that is excreted from the body through urine during synthesis of purine – a substance that presents in fat meats, fish, some dairy products and vegetables. The level of uric acid can be found and measured in the blood. What are the first signs of gout attacks? In most cases, the first gout signs appear at the level of the big toe. The skin around the affected regions turns yellow, appears to be stretched and bruised. The regions affected by gout become very sensitive. It even causes the sufferers can’t tolerate clothing or shoes. Gout attacks in the region of the big toe are referred to as podagra and they involve inflammation, swelling, pain and a sensation of burning. Podagra can also occur due to acquired injuries or intense physical effort that involves the lower limbs. Apart from the region of the toes, recurrent attacks also involve pain and inflammation of the knees, elbows, shoulders, wrists and fingers. Most types of gout attacks can generate low to moderate fever and sweating. And when gout becomes chronic, the damage to the joint is deforming and crippling. Chronic gout attacks are usually long-lasting and they occur in multiple regions of the body. What are the main symptoms of Gout? The main symptoms of gout are severe pain and swelling in joints. It’s the crystallized and lodged of uric acid in the joints that cause joint pain. The joint gets hot, swollen and tender. In most cases, the pain attacks seem to amplify at night causing sleeping difficulty to many patients. How long can gout pain remain? The pain may remain anywhere from a few minutes to a few hours and in some cases, even days. As the disease progresses, the duration of gout attacks can exceed 7-10 days. Other common gout symptoms include fever, discomfort, sourness, malaise, tachycardia, elevations in skin temperature, itching sensations, body aches, water retention, inflammation and intense pain of the affected area – gout in the knee cause joint pain in the knee whereas gout in the finger or toe cause pain in finger or toe. The skin in the affected regions often looks stretched. Gouty arthritis may also cause back pain since it affects the joints. Are you suffering from Osgood Schalatter Disease? Get fast relief treatment from Experienced Knee Sports Specialist. Call us +65 97731458 to schedule for an appointment. Get professional Opinion and Treatment about your Shin Splint today. Effective and fast relief treatment by Experienced Knee Sports Surgeon. Call us +65 97731458 to schedule for an appointment. Shin splints are injuries to the front of the outer leg. While the exact injury is not known, shin splints seem to result from inflammation due to injury of the tendon (posterior peroneal tendon) and adjacent tissues in the front of the outer leg. Shin splints are a member of a group of injuries called “overuse injuries.” Shin splints occur most commonly in runners or aggressive walkers. What are Shin splints symptoms? Shin splints cause pain in the front of the outer leg below the knee. The pain of shin splints is characteristically located on the outer edge of the mid region of the leg next to the shinbone (tibia). An area of discomfort measuring 4-6 inches (10-15 cm) in length is frequently present. Pain is often noted at the early portion of the workout, then lessens, only to reappear near the end of the training session. Shin splint discomfort is often described as dull at first. However, with continuing trauma, the pain can become so extreme as to cause the athlete to stop workouts altogether. A primary culprit causing shin splints is a sudden increase in distance or intensity of a workout schedule. This increase in muscle work can be associated with inflammation of the lower leg muscles, those muscles used in lifting the foot (the motion during which the foot pivots toward the tibia). Such a situation can be aggravated by a tendency to pronate the foot (roll it excessively inward onto the arch). Similarly, a tight Achilles tendon or weak ankle muscles are also often implicated in the development of shin splints. The diagnosis of shin splints is usually made during examination. It depends upon a careful review of the patient’s history and a focused physical exam (on the examination of the shins and legs where local tenderness is noted). Specialized (and costly) tests (for example, bone scans) are generally only necessary if the diagnosis is unclear. Radiology tests, such as X-rays, bone scan, or MRI scan, can be helpful in this setting to detect stress fracture of the tibia bone. What is the treatment of shin splints? Previously, two different treatment management strategies were used: total rest or a “run through it” approach. The total rest was often an unacceptable option to the athlete. The run through it approach was even worse. It often led to worsening of the injury and of the symptoms. Currently, a multifaceted approach of “relative rest” is successfully utilized to restore the athlete to a pain-free level of competition. Get professional Opinion and Treatment about your Plica Syndrome. Effective Treatment, Non Surgery by Experienced Knee Sports Surgeon. Call us +65 97731458 to schedule for an appointment. Often called “synovial plica syndrome,” this is a condition that is the result of a remnant of fetal tissue in the knee. The synovial plica are membranes that separate the knee into compartments during fetal development. These plica normally diminish in size during the second trimester of fetal development. In adults, they exist as sleeves of tissue called “synovial folds,” or plica. In some individuals, the synovial plica is more prominent and prone to irritation. What is Plica Syndrome of the Knee? The plica on the inner side of the knee, called the “medial plica,” is the synovial tissue most prone to irritation and injury. When the knee is bent, the plica is exposed to direct injury, and it may also be injured in overuse syndromes. When the plica becomes irritated and inflamed, the condition called “plica syndrome” results. How is Plica Syndrome diagnosed? Diagnosis is made by physical examination or at the time of arthroscopic surgery. 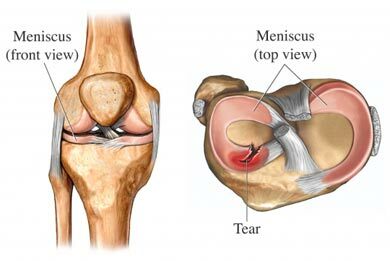 Plica syndrome has similar characteristics to meniscal tears and patellar tendonitis, and these may be confused. A MRI may be done, but it is often not terribly helpful in the diagnosis of plica syndrome. What is the treatment for Plica Syndrome? Symptomatic plica syndrome is best treated by resting the knee joint and anti-inflammatory medications. These measures are usually sufficient to allow the inflammation to settle down. Occasionally, an injection of cortisone in to the knee will be helpful. If these measures do not alleviate the symptoms, then surgical removal of the plica may be necessary. This surgical procedure is performed using an arthroscope, or a small camera, that is inserted into the knee along with instruments to remove the inflamed tissue. The arthroscopic plica resection has good results assuming the plica is the cause of the symptoms. Often a plica is seen on arthroscopic examination. Unless symptoms are consistent with plica syndrome and the plica looks inflamed and irritated, the plica is usually left alone. Plica resection during arthroscopy is only performed if the plica is thought to be the cause of symptoms. Get professional Opinion and Treatment about your Chondromalacia Patella. Effective treatment, Non Surgery by Experienced Knee Sports Specialist. Call us +65 97731458 to schedule for an appointment. Chondromalacia Patella is a common cause of kneecap pain or anterior knee pain. Often called “Runner’s Knee,” this condition often affects young, otherwise healthy athletes. 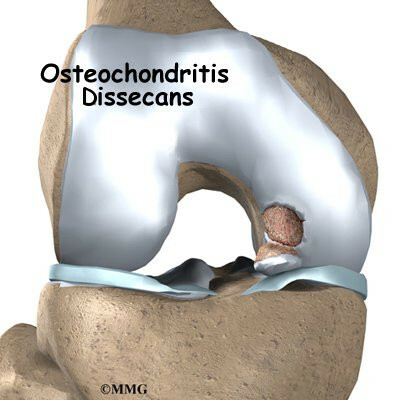 Chondromalacia is due to an irritation of the undersurface of the kneecap. The undersurface of the kneecap, or patella, is covered with a layer of smooth cartilage. This cartilage normally glides effortlessly across the knee during bending of the joint. However, in some individuals, the kneecap tends to rub against one side of the knee joint, and the cartilage surface become irritated, and knee pain is the result. What happens to the cartilage with chondromalacia? Get professional Opinion and Treatment about you Knee Patella Tendonitis. Effective treatment, Non Surgery by Experienced Knee Sports Specialist. Call us +65 97731458 to schedule for an appointment. Patellar tendinitis is a common overuse injury. It occurs when repeated stress is placed on the patellar tendon. The stress results in tiny tears in the tendon, which the body attempts to repair. However when the tears in the tendon increase faster than what the body can recover, it causes the inflammation in the tendon to worsen. HOW IS PATELLAR / QUADRICEPS TENDINITIS DIAGNOSED? Physical examination by applying pressure to different parts of the knee determines exactly where the pain is. 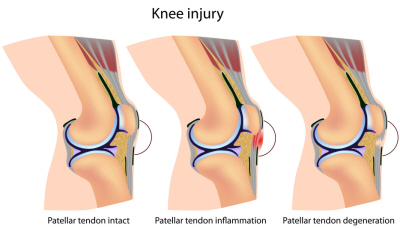 Pain associated with patellar tendinitis usually concentrates on the front part of the knee, just below the kneecap. Ultrasound is also used to reveal the location of tears in the patellar tendon. However MRI can reveal more subtle changes in the patellar tendon. Repeated jumping is the most common cause of patellar tendinitis. Sudden increases in the intensity of physical activity or increases in frequency of activity also add stress to the tendon. Additionally, being overweight or obese increases the stress on the patellar tendon which in turn increases the risk of patellar tendinitis. Treatment includes resting which means to avoid running and jumping, massaging the patellar tendon which encourages tendon healing and strengthening the tendon by strengthening exercises which involve lowering weight slowly after raising it, such as a seated knee extension exercise.